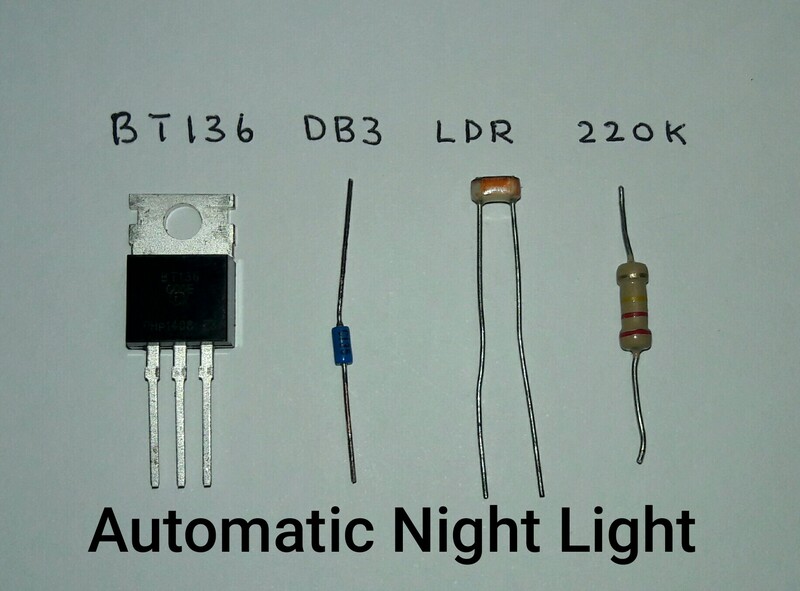 When we use Triac and LDR to make Automatic Lights, a major problem arises . Lamp starts flickering during the light transition period in the evening and morning. Lamp fully turns on only when there is complete darkness and turns off only when day light is full. This simple design solves the problem. Light instantly turns on / off without any flickering. 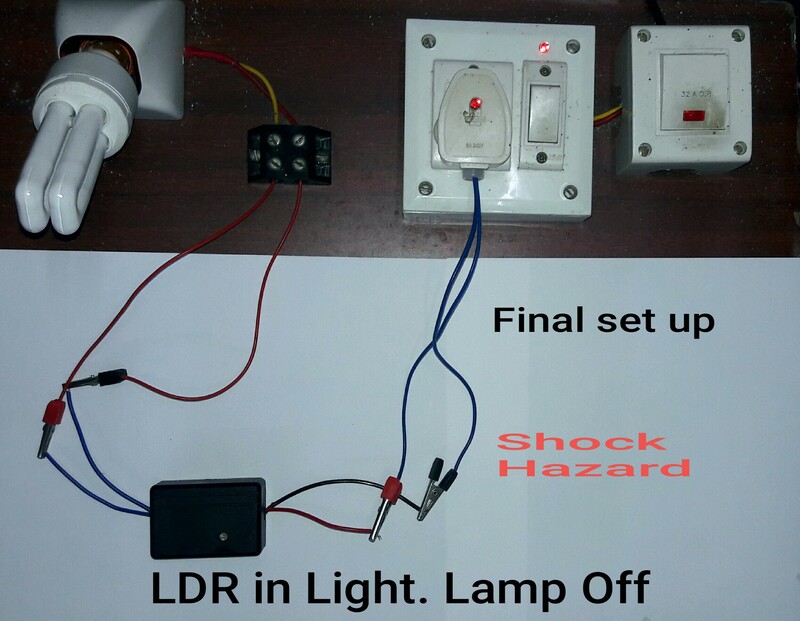 You can drive CFL, LED bulb etc which turns on automatically around 6 pm and turns off around 6 am. See the simple design. During day time, resistance of LDR is low and it conducts. So current flows from Phase to Neutral through LDR. 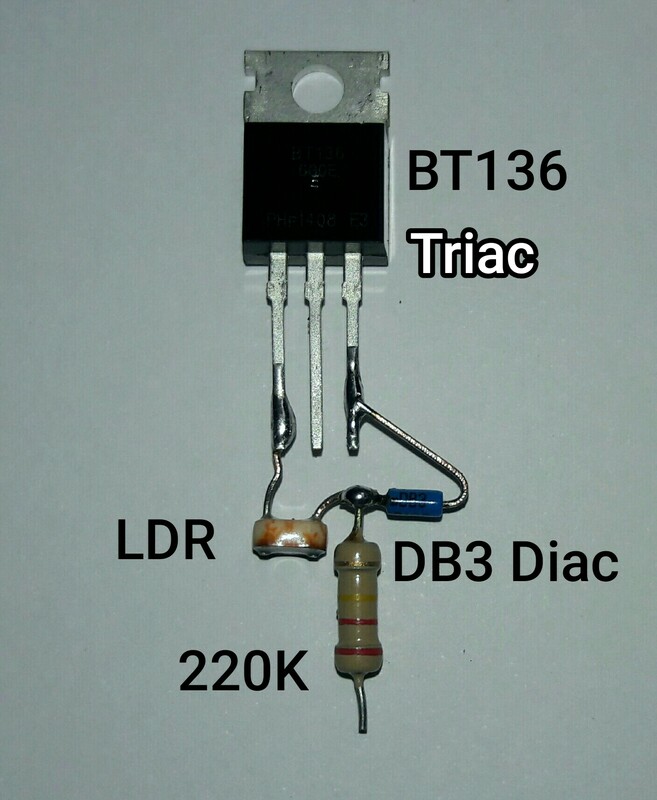 During this time, Diac will not get sufficient voltage ( around 34 V ) to conduct and fire the Triac. 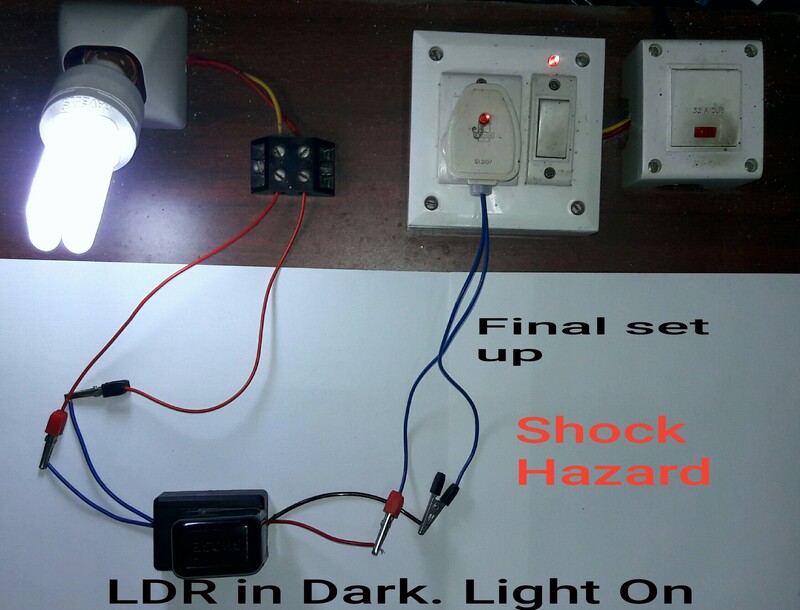 When the light intensity reduces in the evening, LDR offers high resistance, and Diac gets sufficient voltage to fire Triac and lamp turns on. 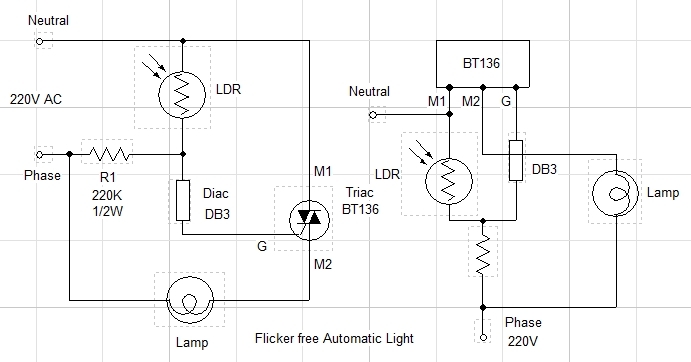 So Diac conducts only when the threshold voltage reaches 34 V. That means, LDR is almost in dark. This prevents flickering. You need only four components, and its cost is less than Rs. 25. Enclose the circuit in a Shock proof case and fix outside the home preferably below the sunshade to get day light. Rain water should not fall on the circuit. Place lamp away from the circuit. Light from the lamp should not fall on LDR. It will flicker the lamp. 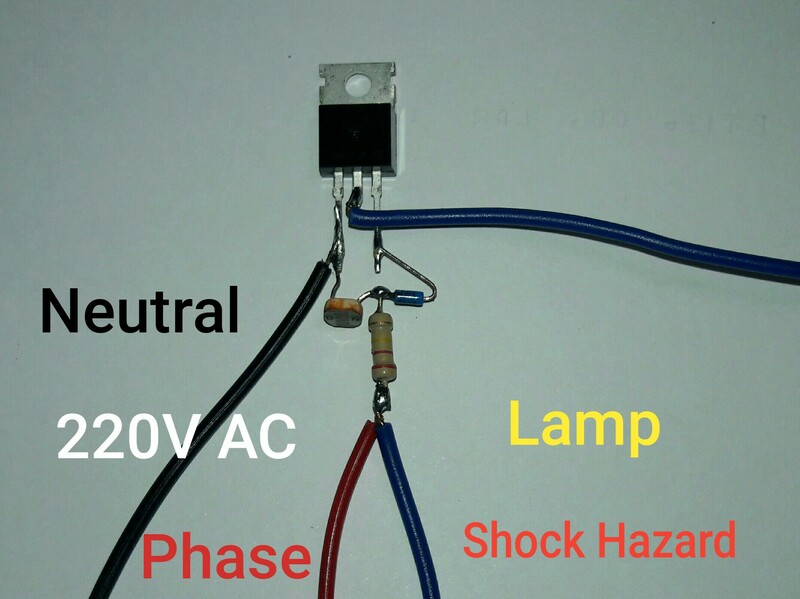 Caution – This circuit is dangerous and can give Fatal shock if handled carelessly. Do not touch or trouble shoot when it is connected to mains. Don’t touch any point of circuit when it is connected to mains. Always enclose the circuit in a shock proof case. If you are not competent to handle AC circuits, do not construct this.